Starting At $131.31 + Free Shipping! 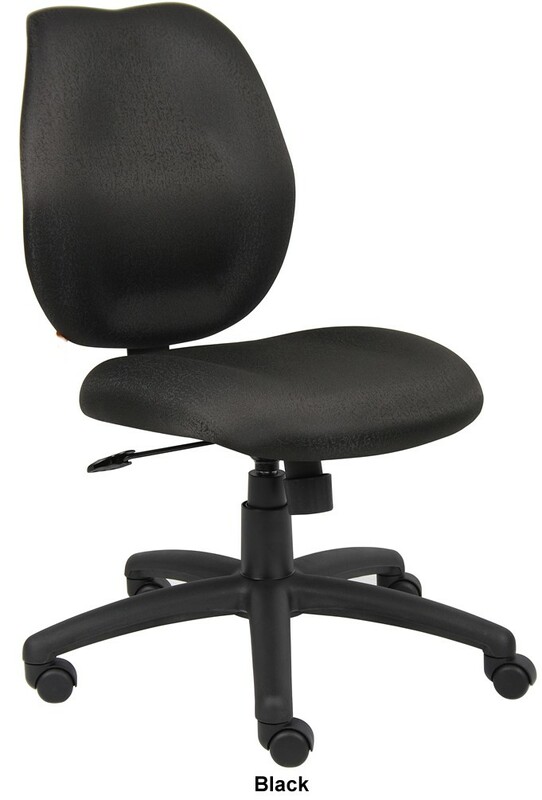 Perfect for the user who needs easy movement and extra space, the Boss Mid Back Task Computer Chair No Arms unit allows for flexibility and room to move. Its mid-back styling with firm lumbar support and sculptured seat cushion made from molded foam adjust to the exact contours of every user's body, increasing comfort over time for those enjoying this chair. Additionally, its casters increase the movement abilities of this chair, and users will appreciate the ability to instantly adjust seat height and control the upright locking position features.